QR code stickers have become so commonplace that it’s very easy to see them here and there while we go through newspapers, magazines, coupons or advertisements both online or offline. Today, QR code stickers are also seen on innovative business cards, mails, and movie banners. This way, businesses can share information with people who are mobile savvy. It also helps people to get information on the go. Now, we know that a QR code sticker is a 2-D barcode and smartphone cameras can be used to scan them to decode information. There are loads of QR code apps for phones that help to perform this task. They need to be downloaded in a mobile phone and then, they will open up all the wonderful possibilities of the magical world of QR codes. QR code stickers have become an effective online and offline marketing tool. If any business has a website, the business can drive users to the website with the help of QR code stickers. For instance, restaurants can give out discount coupons with the help QR code stickers. They can run a promotion whereby people are required to visit their Facebook page and get the coupons. This can be done offline to gain more “likes”. Another de facto for many business owners is to get QR code stickers on v-cards. Yes, there will be just a QR code sticker on the card with the details of profile and contact information which will allow people to share on the go. Most businesses also engage their audience in scavenger hunts and this will lead visitors to explore more places. If you have the desire to gain more patronage from the maverick users of iPhone and Android set, there is a great way to offer discounts through QR codes stickers. These codes can be used in advertisements and they can even be displayed throughout the target store or shop. Another amazing way is to transform these codes into a "retweet", engaging your shoppers and also inducing them to share the discounts with the Twitter world. These days, a lot of geeks are slapping QR code stickers on their laptops when they are out on a conference. Now, this can be a great way to share information without even having to sum up your profile. What’s more, a funky way is also pasting a QR code sticker on T-shirts! On another level, BBC had a famous QR code that was meant for a famous cookery show and it was called The Good Cook. Viewers can learn any recipe with the help of the QR code sticker, thus giving way to technological innovation clubbed with high interaction with customers. If you desire, you can also go ahead and get QR code stickers to get mobile-friendly landing pages clubbed with Facebook “like” buttons or a link to Twitter business page so that you get more follows. People look for instant results and QR code stickers help to bridge the time gap. It also boosts sales and the QR code can be used to email people for signing up. You must make it so that your end audience are driven to your website and join you. This is an amazing customer engagement tool and people should come back to you, again and again. In 2008, there was a QR code pilot program as a pact between CitySearch and Antenna Audio. The main idea was to embed reviews and audio clippings in a code at various San Francisco historical landmarks and eateries. This was a mind-blowing affair for all food lovers as well as travelers who loved touring the Bay Area. The famous event organizer Eventbrite also initiated a QR code program which was aimed at myriad events and party registration. This was created to boost engagement and cut down on wastage of time. It was hoped that the procedure for registration would attract more attention since we have already entered the age of 3G mobile and cameras. It’s also predicted that in some years to come, QR codes tickers will be put into use for checking and controlling race checkpoints. This way, sports fanatics can keep an eye on their favorite sports, right from their mobiles. There can be no prediction as to what great things these QR code stickers can accomplish. It can lead users to a great video landing website or a shopping store and people can also share them to make it viral. So definitely, QR code stickers are a great viral marketing tool as well. People can share discounts or e-books or music files. Sharing is the gateway to build stronger web communities and Facebook has endorsed this idea day in and out. There is Likify which can help you to generate a QR code which will in turn link to your mobile device. This way, you will be redirected to the “Like” button related on your Facebook page. It helps to get all Facebook communities in sync without any hassles. No pains, yet amazing results with QR code stickers. QR codes can also be used in places such as V-cards, marketing brochures, on trucks, tags for products, event banners, restaurant menu-cards, sale receipts, and much more. With these QR code stickers, you can illustrate your products, give information about your business or idea, induce end users to use your products, get on with marketing campaigns, give special offers, analyze user behavior, and also try out innovations. The uses of QR codes are practically endless. For instance, Google Places will give you the scope to generate QR codes once you register at Google Places. With this, customers will know the direction to your store or website. It is said that very soon these QR code stickers will be used for face recognition. The technology of QR code is moving at lightning speed and it is bringing the world closer together. 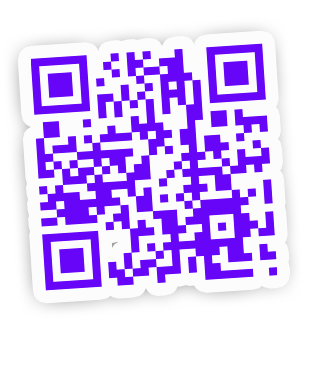 Follow these links to learn more about QR Code Stickers.